It is great to have the Team back together again! Caitlin has been in Europe racing the World Cup for 2 months and is back in Minneapolis to recharge. Face Time is a great way to stay in touch when we are on different continents but you can't beat being together in person. Last year we had a great week or training and recharging in Hayward, WI on the American Birkebeiner trail so we decided to do the same thing this year. This included racing in the Seeley Hills Classic a fantastic classic marathon on the Birkie trail. Race organizer Dennis Kruse has been a good friend from the first day I arrived in Wisconsin 10 years ago. With 500 racers the Seeley is one of the premier classic races in the Midwest. I had a fun race with my friend Matt Liebsch. We skied the entire race together attacking each other from time to time but neither of us breaking away. I ended up with the win this year, although a good portion of that was a result of Matt tripping on a climb 1 km from the finish and myself getting the only open finishing lane. After a great time up in the north woods of Wisconsin I flew out to Colorado for a 10 day altitude block. Caitlin and I trained in Frisco for 3 weeks last year in preparation for the World Championships and that went well. Frisco, CO is at 9,000 feet and the trails and skiing at the Frisco Nordic Center are some of my favorite. The World Cups in Canmore are at a moderately high altitude and I wanted to put some time back high as it has been nearly a month since I have been high. I have been fortunate to have the opportunity to bounce between high altitude and sea level throughout the year and I feel my body responds well to the fluctuation. 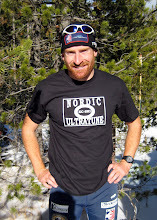 My good friend Brent Knight is now living in Boulder, CO and working for Salomon. We trained and raced together for UAA and on the professional race circuit for 8 years. Brent is now working full time but can still push me and help make me better. It is super nice of him to come up and train with me as I put in a volume block. I have found that I need to have a few weeks throughout the race season where I push the volume so that I can stay strong for the entire season.